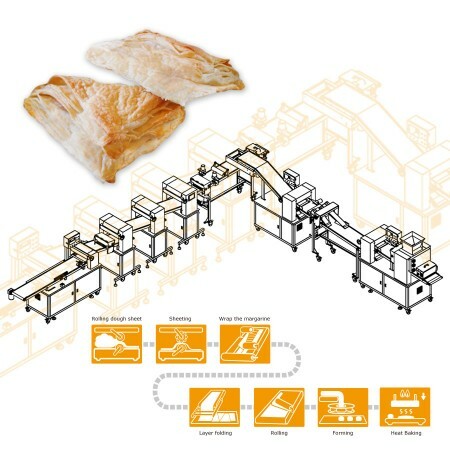 Puff Pastry-2 Machine and Equipment - ANKO High Efficiency Puff Pastry-2 Production Equipment Design | ANKO FOOD MACHINE CO., LTD. The machines listed below are designed for making Puff Pastry-2. Please feel free to contact us via the form below. We will happy to answer any questions you may have regarding our products, services, and turnkey projects.